Enjoy this indulgent meal as part of a balanced weekly diet. Brown 700g of mince for approx. 5 mins, until cooked through. Add your DOLMIO Lasagne Tomato sauce and stir through. 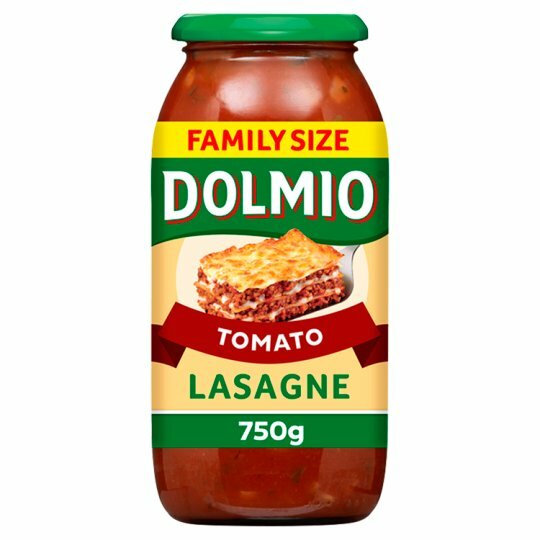 Coat the base of an ovenproof dish with a layer of lasagne sauce, cover with lasagne sheets and then DOLMIO Creamy lasagne sauce.